(Newser) – Ohio Sen. 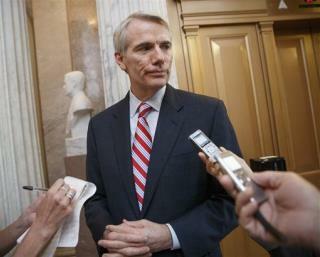 Rob Portman says he will not run for president in 2016, choosing instead to seek a second term in the Senate over the Republican nomination for the White House. The former White House budget chief says he feels he can play an important role as a member of the new GOP majority in the Senate, where he wants to help break the gridlock that has largely paralyzed Congress the past two years. "I'm excited about it," he said in an interview yesterday, adding that he didn't think he could be as effective as a senator while at the same time running for president. Sad -- to the reality that intelligent people can not win. 1 less to worry about! Cause... 2016-Gov. Christie WILL WIN THE WHITE HOUSE!!! Then Gov.Christie will be Prez on Jan.20,2017 & fix the MESS Prez Obama left.!! There ya go! I listened carefully to Portman's comments when he ran. He is among the few Republicans I have heard for whom I could vote.